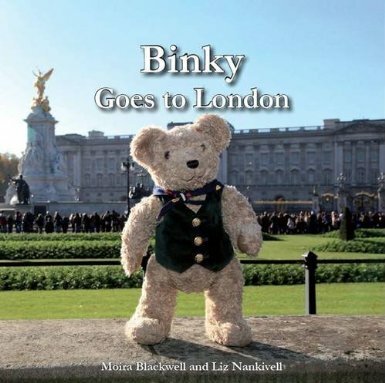 The latest book in the series, Binky Goes to London, was published in October 2013. Binky and his family go to London for the day and while everyone goes shopping, Binky sets off on his own to find the Queen and have tea. Binky Goes To London was photographed in and around Trafalgar Square, Horseguards Parade, St James’s Park and Buckingham Palace in the Autumn of 2012. This Binky Bear story features two corgis, a squirrel, a pelican and a friendly horse! 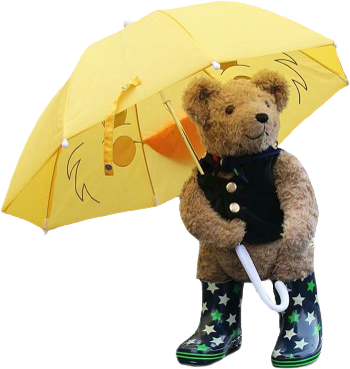 Binky Goes To London has already attracted one famous fan, Dame Judi Dench who says, “Anyone who loves Teddy Bears and knows of their secret lives will love this book.” Praise indeed and before you ask, yes, two copies have been sent to The Palace!